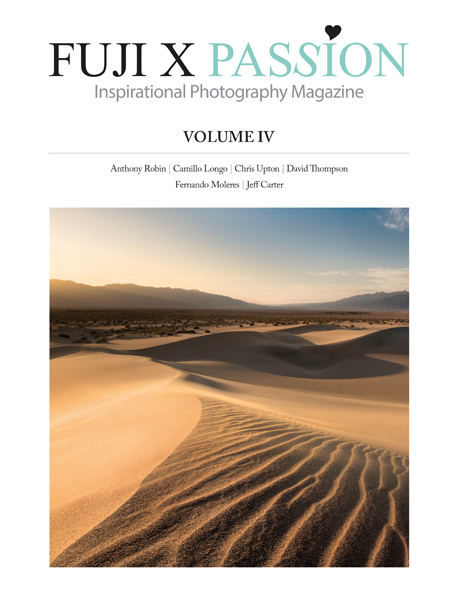 "Based in the beautiful state of Kentucky and surrounded by the Appalachian Mountains, I am an outdoor photographer, field tester, and content creator. 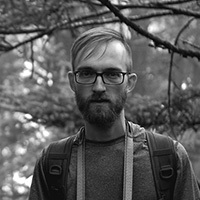 I blog regularly and maintain active social networks that are geared towards the photography and adventure lifestyle." Welcome back to another gear review, everyone! 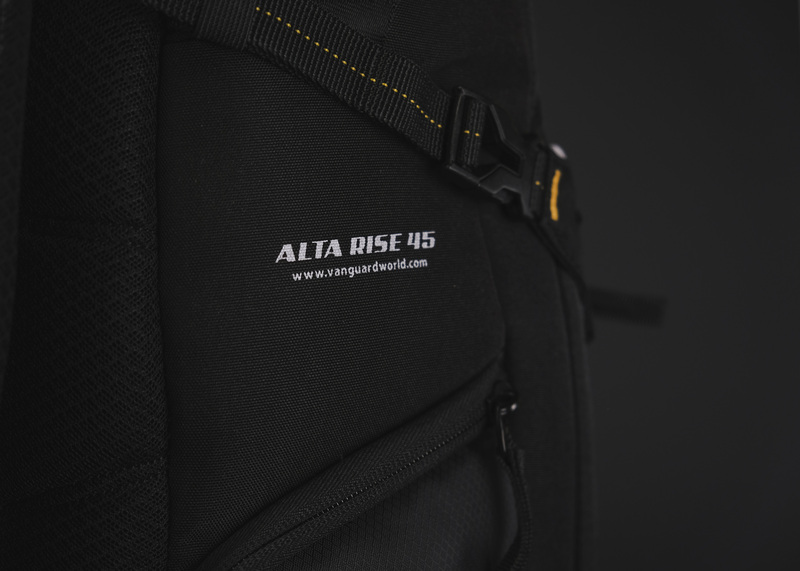 The fine folks over at Vanguard recently sent me an Alta Rise 45 backpack to try out. I have been really enjoying this day pack and wanted to share my impressions with you all. 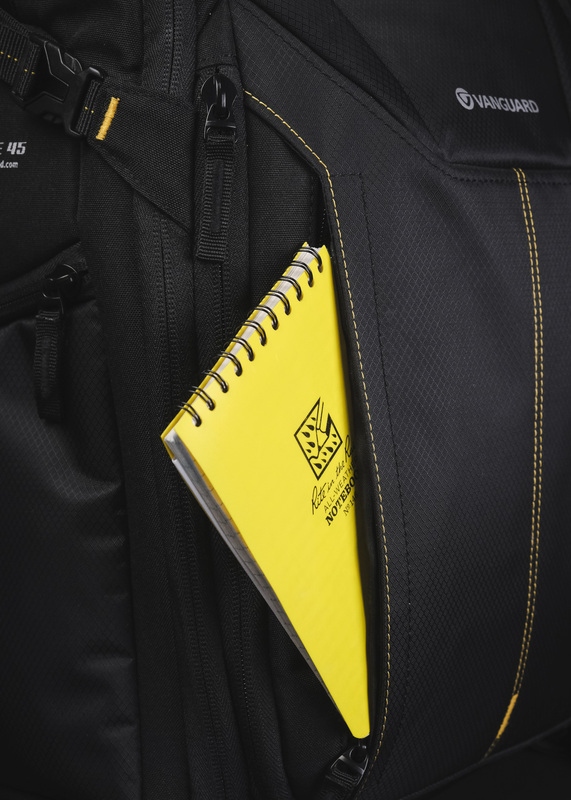 For starters, the Alta Rise 45 by Vanguard is a hybrid backpack. Meaning that it has a top shelf for your general everyday stuff. Then a bottom level that is divided up for camera gear. I have not been the biggest fan of this hybrid-style in the past, but Vanguard did it right and i’m happy to see that. Vanguard gives you enough space on both the top and bottom level to accommodate all of your necessities. And the U-Shape/Flat Lay Design of the pack is exactly what I like for easy access to all of it. I have been very pleased with the overall comfort of the Vanguard Alta Rise 45. For me the shoulder straps land at the perfect spot on my shoulders. They aren’t too close, or too far away from my neck. 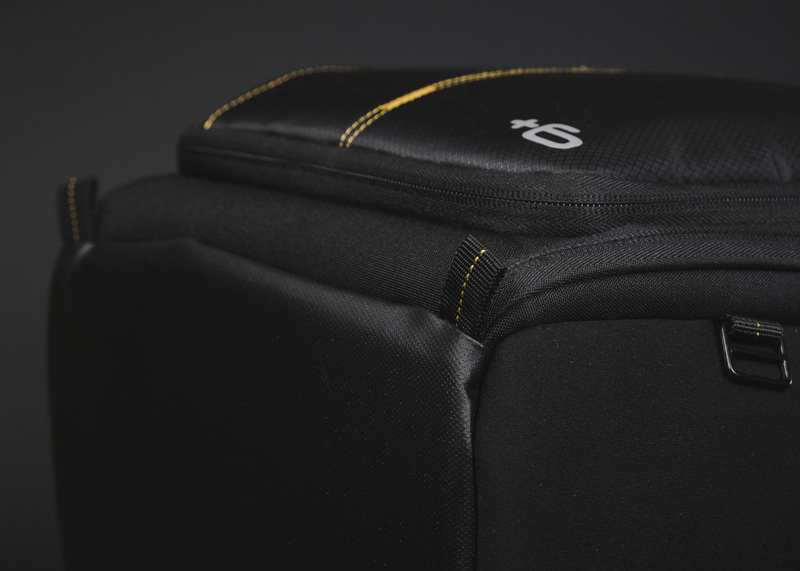 The kidney pack and back panel are padded extremely well (doubling as added security for your gear). And the sternum strap/hip-belt are more than adequate for a pack of this size. 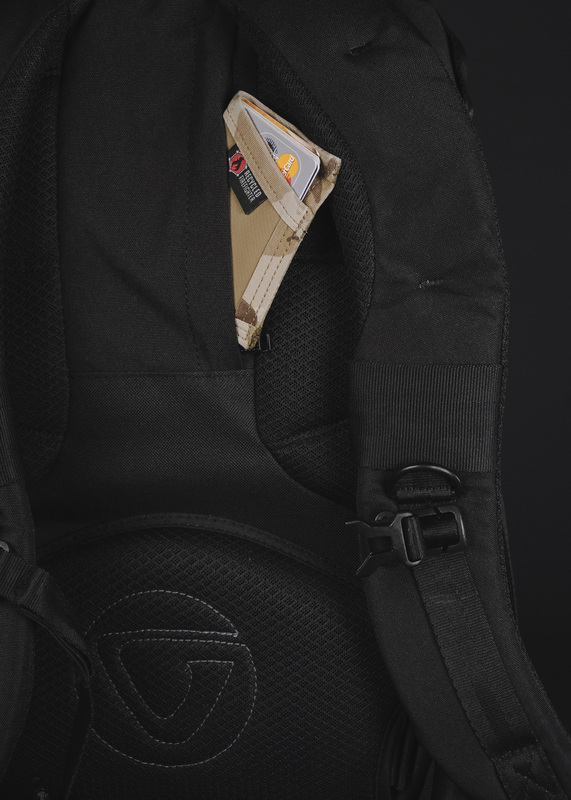 I do wish the pack was about 1″ – 1 1/2″ longer/taller and rested a little lower on my back. As I find a pack within the 20-21″ range to be the most comfortable when hiking for miles on end. This is purely a personal preference and comes from me testing dozens of packs. 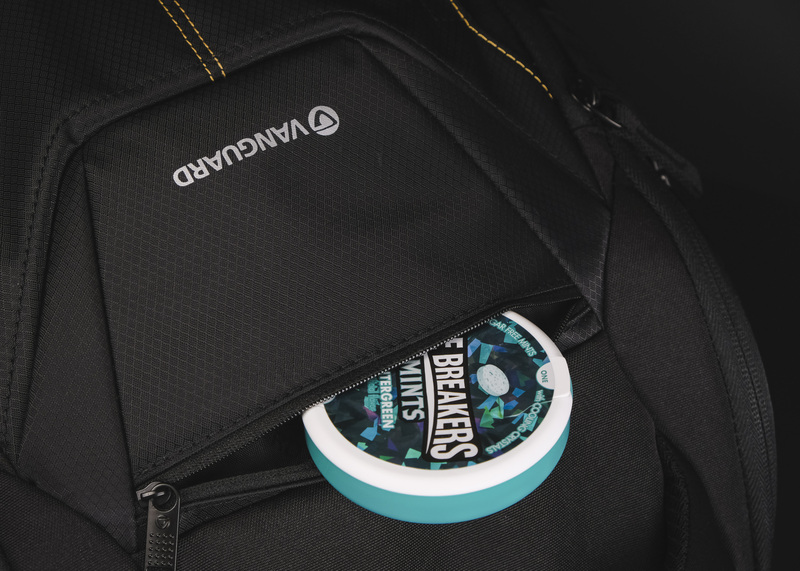 The average Joe would honestly not be bothered by this (or even notice it)…And it’s certainly not detouring me from using this pack or recommending it. A lot of packs come through here for testing. And i’ve used a TON of packs for personal use over the years before I started AnthonyAwaken.com. So, i’m not usually surprised by features on backpacks. But I totally nerded out when I saw the Safe Storage / Concealed Pocket on the back of the Alta Rise 45! This is so unique and not seen on a lot of packs. This pocket is PERFECT for traveling when you want to keep your wallet, cash, or other valuables concealed and safe. 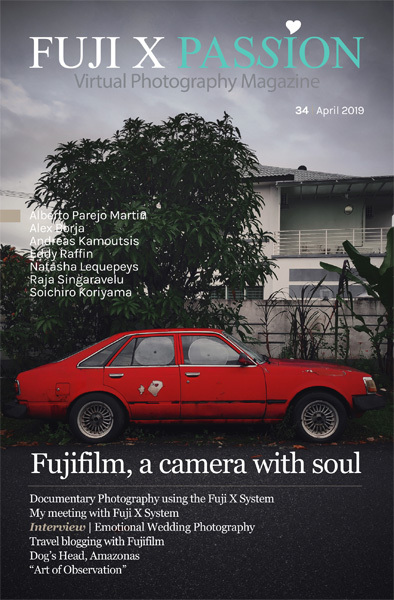 Brilliant feature, Vanguard! I mentioned it earlier. But I love how Vanguard split this hybrid style bag. They put a little divider that acts as a shelf above the camera storage area. 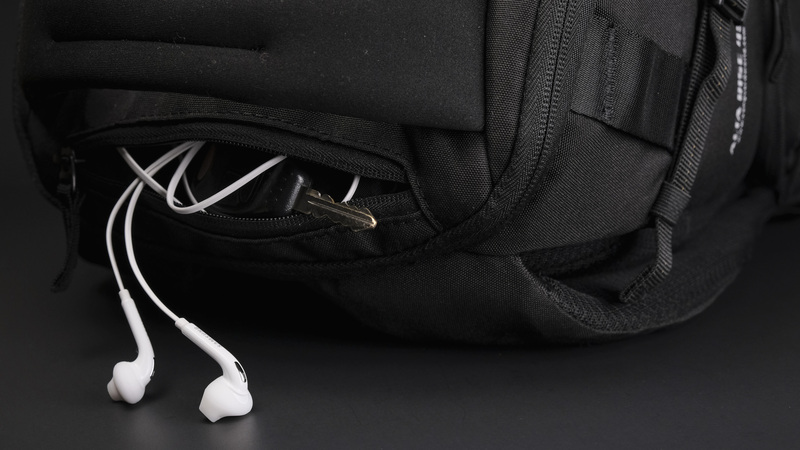 And the u-shaped zipper can easily be unzipped 40-50% of the way to access your top contents. This area is also organized just enough. There are 2 mesh pockets (not shown in the picture) that are marked for charged or uncharged batteries (but can of course be used for other things). Other than these 2 pockets, it’s wide open. Coming from a hiking/backpacking background, this is the perfect amount of organization (i’ll use diddy bags to keep it tidy if I so desire). I love that Vanguard gave us 2 small pockets on the exterior of the Alta Rise 45 (one under the grab handle and one on the front). They are big enough for some small items like keys, headphones, a small notebook, pen, mints, etc. I am a huge fan of exterior pockets on a pack. They are great when I need to grab something quickly while i’m in the car, or on a photography adventure. And while these may be too small for certain items, they work well for 95% of the things I need to quickly stash or gain access to. 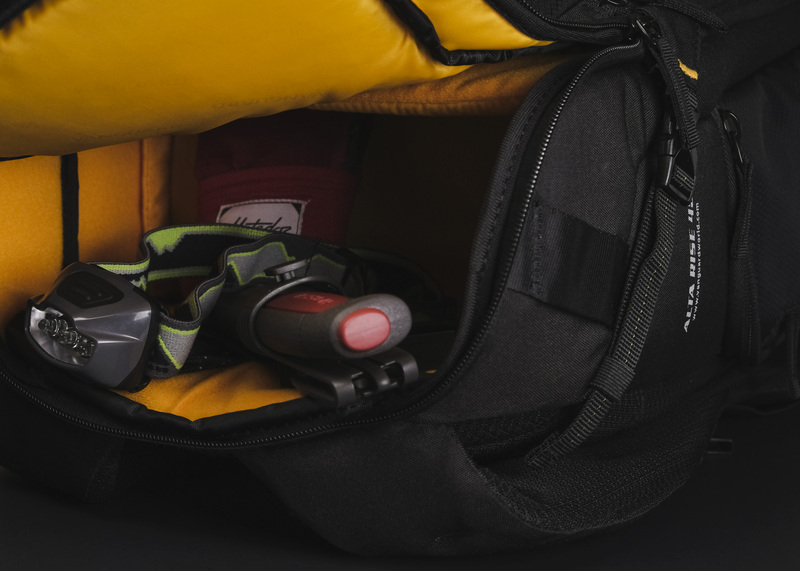 And for larger items, the very front of the Alta Rise 45 has a roomy exterior pocket that is plenty big enough to accommodate almost anything that won’t fit into these smaller pockets (see below). 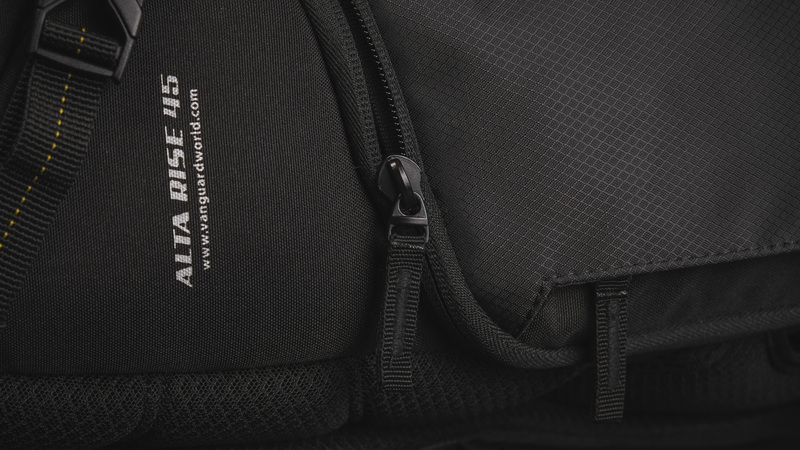 The largest exterior pocket on the Alta Rise 45 backpack is great. It’s as tall as the front of the pack and has an interior divider to keep your items more organized. I personally love this area for quick items like my notebook, germ-x wipes, a quick first aid/boo-boo-kit, snack bars, etc. I always appreciate when a backpack manufacturer includes a fitted rain cover. 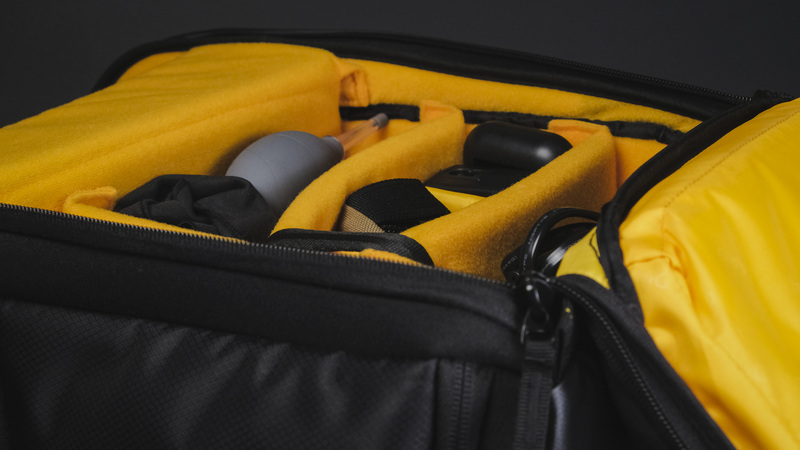 One is included with Alta Rise 45, along with a dedicated storage pocket for it (which is located on the side of the quick access camera compartment). 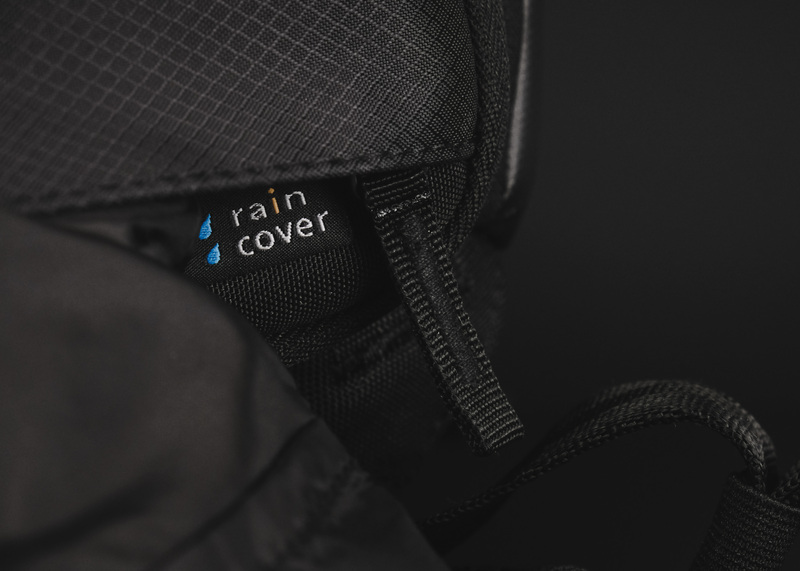 Not only does this dedicated pocket hold the rain cover, but it also gives the side of the pack a bit more padding. 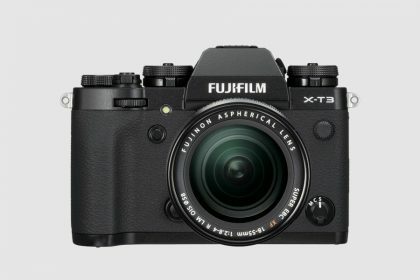 Which is excellent since your camera screen backs up to that pocket when it’s closed (see below). This is actually my first time using a side access camera bag. But I have to say I really like it! 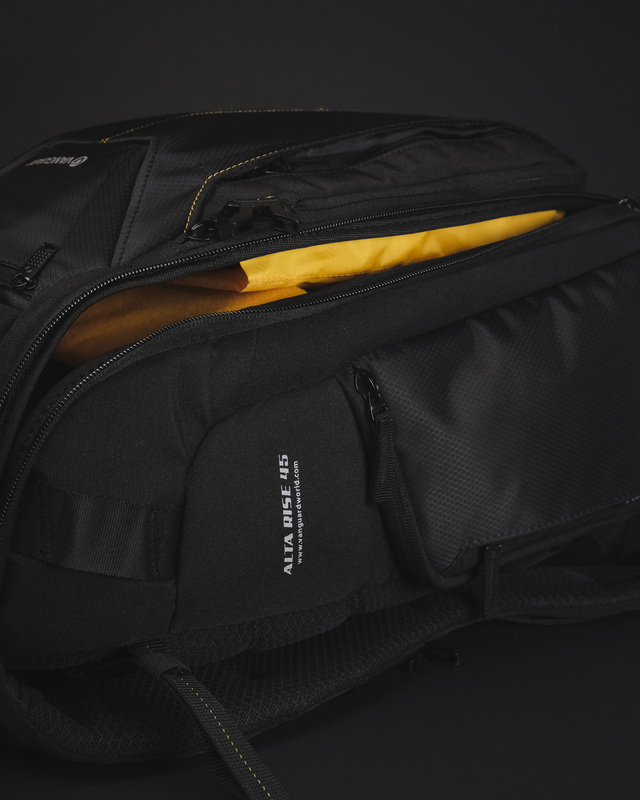 It’s a very natural placement, since you can easily swing the bag around, unzip the pocket and quickly retrieve your camera. If I could change one thing on the Alta Rise 45 it would be the zipper pulls. Not the zippers themselves, just the pulls. I have noticed on the side access that it can get a little sticky, right around the bends/corners of the pocket. I wish I knew what these zipper pulls were called. 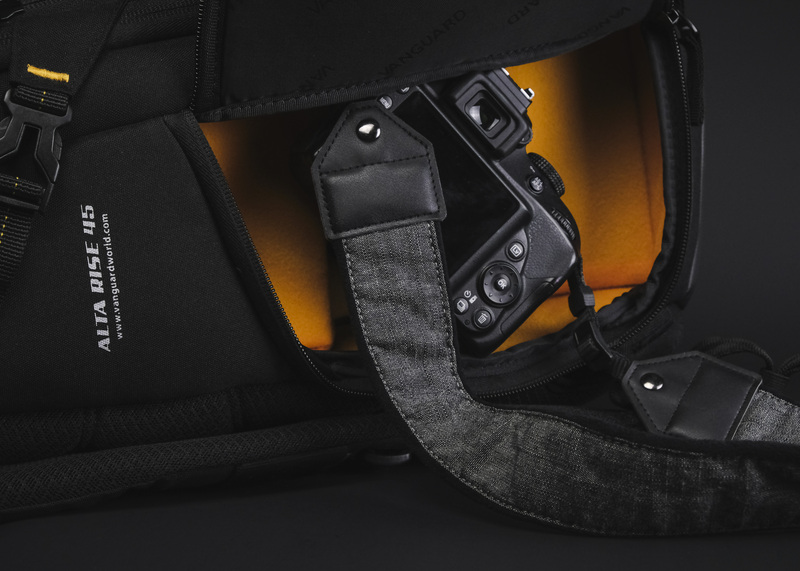 But here’s a quick picture (above) of the zippers from my MindShift FirstLight 30L. I really like these zipper pulls from a visual and function standpoint. Quite honestly, I would pay $5 – 10 per bag to get these pulls. I love them that much. I could definitely see the Alta Rise 45 with some bright orange pull tabs…It’d look sweet! The base of the Alta Rise 45 is constructed of a tough, water resistant, tarp-like material. I really appreciate this attention to detail. I don’t worry about laying this pack down on the ground and moisture seeping through (especially with the included rain cover on). 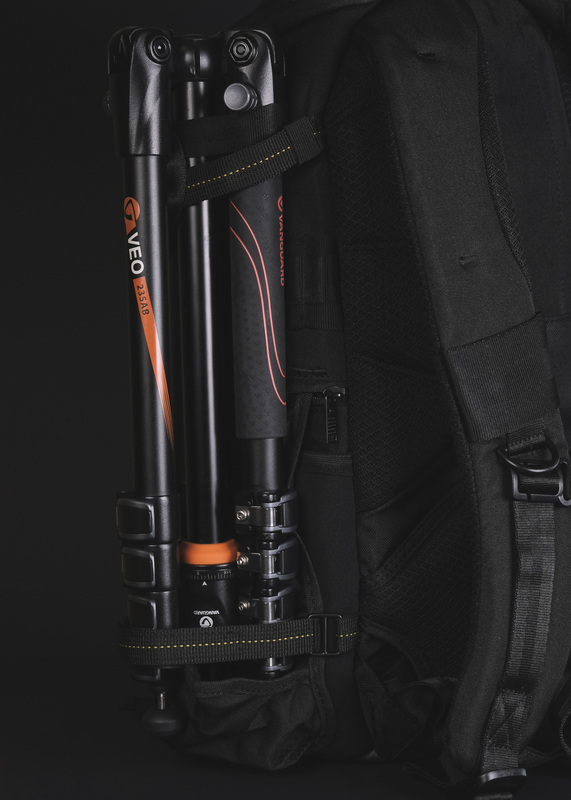 My first experience with the Vanguard brand was actually with the VEO 235AB Tripod. 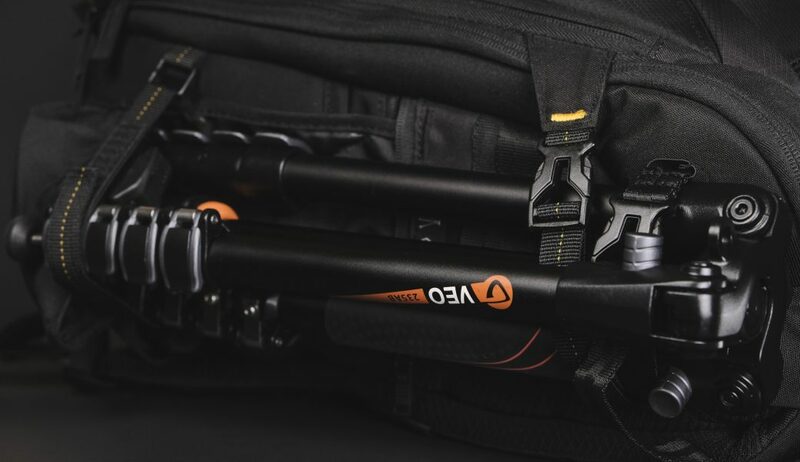 So it definitely makes sense that they would put a nice tripod carrying system into the Alta Rise 45 backpack. The Alta Rise 45’s tripod carrying system is actually my favorite that I have tried. The tripod extends no further than the length of the bag. Which means you can sit the bag upright with the tripod attached and it won’t fall over. It does cover the water bottle holder, but that’s not a deal breaker for me. The bottom of the Alta Rise 45 is dedicated to camera gear. 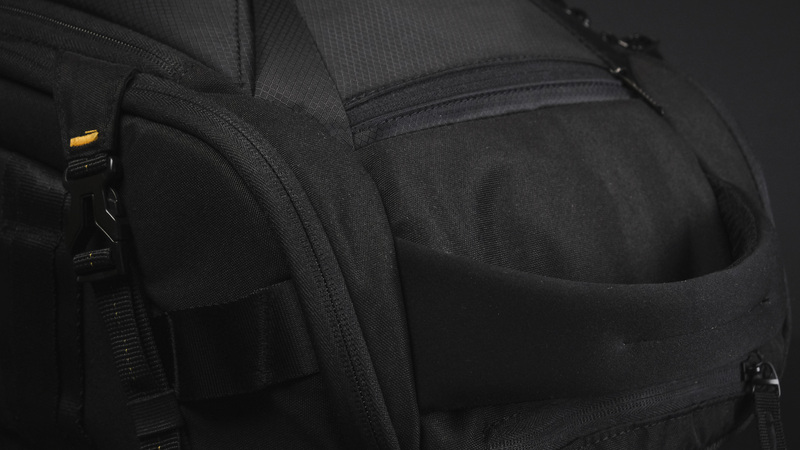 It is totally customizable with hook & loop velcro dividers, and the entirety of the bag is soft sided. So you can attach the dividers any way you wish. For me the Alta Rise 45 came almost perfectly organized from the factory. I just had to maneuver the smaller dividers an inch or two to accommodate the lengths of my gear. 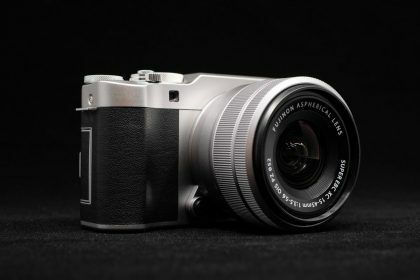 Are you a mirrorless user, like myself? The grab handle on the Alta Rise 45 is superb! It’s plenty large, well padded, and seems to be sewn very well. I have no reservations about loading this pack up and the grab handle taking the weight. While we’re on the topic of grab handles. It would be nice if Vanguard explored a 2.0 version of this pack with a second grab handle on the side. It could be located just above the side camera access where the “Alta Rise 45” logo is. If they placed it vertically, this could be a great way to quickly grab your bag. Or provide a second point of contact to add stability when putting it overhead on an airline, or maneuvering it around in your car, etc. Add that second grab handle + those zipper pulls I talked about earlier… We have a 2.0 version that i’d certainly want to own. WOULD I RECOMMEND THE ALTA RISE 45? For sure. 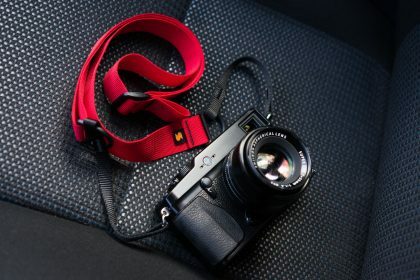 In my opinion this is a near-perfect camera bag. I actually just recommended it to a good friend this morning who was looking for a new camera bag. Plus – For the price (currently $100), there’s no way you’re going to go wrong with the Alta Rise 45! I put this pack in the top of its class for the price range (and even for some packs that are more expensive). As I mentioned above – The Alta Rise 45 checks off a ton of positives in my book and only has a few personal-preference drawbacks for me. While I do wish it was a hair longer and there were different zipper pulls, these are not things that will sway me from recommending it or personally using it. I love this pack for its size, security features (hidden pocket + padding for gear), weatherproofing, overall organization and all of the other things that I mentioned above. If you’re looking to buy the Alta Rise 45, I say go for it…You won’t be disappointed!